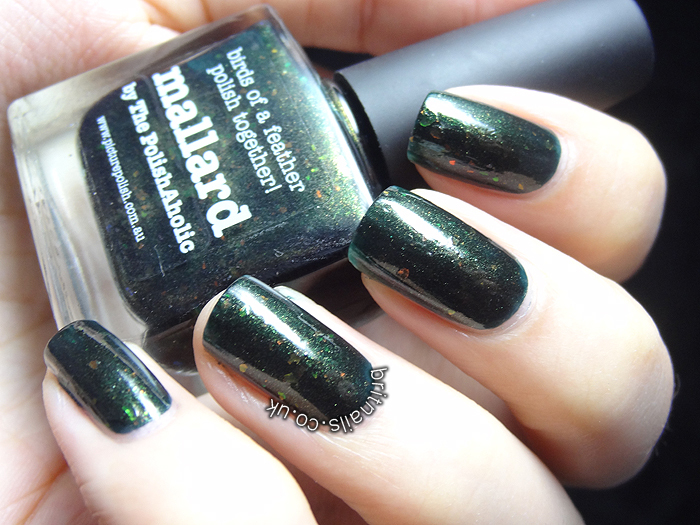 Oh wow, do I love Mallard. 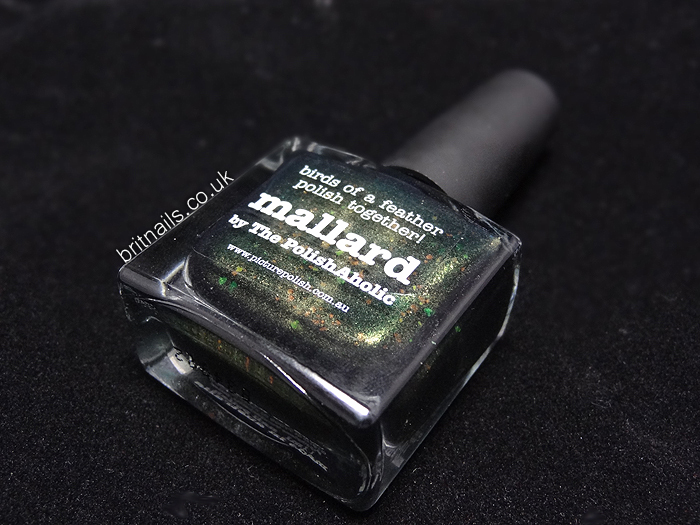 This polish is from a range of collaborations with bloggers, and Mallard is from The PolishAholic. It's a bottle-green/gold shimmer base, with green and orange flakies. It basically resembles the feathers of a Mallard, which is the cutest idea ever! I'm a big fan of dark greens too so I just had to get this. Click the jump for more pictures! Love love love this! 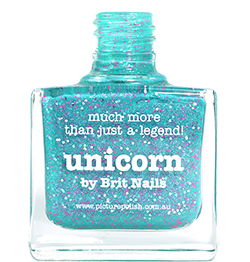 It's one that looks as good on the nails as it does in the bottle. I think it'd look great on anyone! Thanks Jen! You must be so proud of this polish! this is such a cool polish!!! Wearing this right now, too scared to photograph it. It sure it not easy to capture, pesky bugger.